We think important objects and events in our world will automatically grab our attention, but they often don’t, particularly when our attention is focused on something else. The failure to notice unexpected objects or events when attention is focused elsewhere is now known as inattentional blindness. The study of such failures of awareness has a long history, but their practical importance has received increasing attention over the past decade. This module describes the history and status of research on inattentional blindness, discusses the reasons why we find these results to be counterintuitive, and the implications of failures of awareness for how we see and act in our world. Learn about inattentional blindness and why it occurs. Identify ways in which failures of awareness are counterintuitive. Better understand the link between focused attention and failures of awareness. Do you regularly spot editing errors in movies? Can you multitask effectively, texting while talking with your friends or watching television? Are you fully aware of your surroundings? If you answered yes to any of those questions, you’re not alone. And, you’re most likely wrong. More than 50 years ago, experimental psychologists began documenting the many ways that our perception of the world is limited, not by our eyes and ears, but by our minds. We appear able to process only one stream of information at a time, effectively filtering other information from awareness. To a large extent, we perceive only that which receives the focus of our cognitive efforts: our attention. Imagine the following task, known as dichotic listening (e.g., Cherry, 1953; Moray, 1959; Treisman, 1960): You put on a set of headphones that play two completely different speech streams, one to your left ear and one to your right ear. Your task is to repeat each syllable spoken into your left ear as quickly and accurately as possible, mimicking each sound as you hear it. When performing this attention-demanding task, you won’t notice if the speaker in your right ear switches to a different language or is replaced by a different speaker with a similar voice. You won’t notice if the content of their speech becomes nonsensical. In effect, you are deaf to the substance of the ignored speech. But, that is not because of the limits of your auditory senses. It is a form of cognitive deafness, due to the nature of focused, selective attention. Even if the speaker on your right headphone says your name, you will notice it only about one-third of the time (Conway, Cowan, & Bunting, 2001). And, at least by some accounts, you only notice it that often because you still devote some of your limited attention to the ignored speech stream (Holendar, 1986). In this task, you will tend to notice only large physical changes (e.g., a switch from a male to a female speaker), but not substantive ones, except in rare cases. This selective listening task highlights the power of attention to filter extraneous information from awareness while letting in only those elements of our world that we want to hear. Focused attention is crucial to our powers of observation, making it possible for us to zero in on what we want to see or hear while filtering out irrelevant distractions. But, it has consequences as well: We can miss what would otherwise be obvious and important signals. The same pattern holds for vision. In a groundbreaking series of studies in the 1970s and early 1980s, Neisser and his colleagues devised a visual analogue of the dichotic listening task (Neisser & Becklen, 1975). Their subjects viewed a video of two distinct, but partially transparent and overlapping, events. For example, one event might involve two people playing a hand-clapping game and the other might show people passing a ball. Because the two events were partially transparent and overlapping, both produced sensory signals on the retina regardless of which event received the participant’s attention. When participants were asked to monitor one of the events by counting the number of times the actors performed an action (e.g., hand clapping or completed passes), they often failed to notice unexpected events in the ignored video stream (e.g., the hand-clapping players stopping their game and shaking hands). As for dichotic listening, the participants were unaware of events happening outside the focus of their attention, even when looking right at them. They could tell that other “stuff” was happening on the screen, but many were unaware of the meaning or substance of that stuff. These surprising findings were well known in the field, but for decades, researchers dismissed their implications because the displays had such an odd, ghostly appearance. Of course, we would notice if the displays were fully opaque and vivid rather than partly transparent and grainy. Surprisingly, no studies were built on Neisser’s method for nearly 20 years. Inspired by these counterintuitive findings and after discussing them with Neisser himself, Christopher Chabris and I revisited them in the late 1990s (Simons & Chabris, 1999). We replicated Neisser’s work, again finding that many people missed the umbrella woman when all of the actors in the video were partially transparent and occupying the same space. But, we added another wrinkle: a version of the video in which all of the actions of both teams of players were choreographed and filmed with a single camera. The players moved in and around each other and were fully visible. In the most dramatic version, we had a woman in a gorilla suit walk into the scene, stop to face the camera, thump her chest, and then walk off the other side after nine seconds on screen. Fully half the observers missed the gorilla when counting passes by the team in white. This phenomenon is now known as inattentional blindness, the surprising failure to notice an unexpected object or event when attention is focused on something else (Mack & Rock, 1998). The past 15 years has seen a surge of interest in such failures of awareness, and we now have a better handle on the factors that cause people to miss unexpected events as well as the range of situations in which inattentional blindness occurs. People are much more likely to notice unexpected objects that share features with the attended items in a display (Most et al., 2001). For example, if you count passes by the players wearing black, you are more likely to notice the gorilla than if you count passes by the players wearing white because the color of the gorilla more closely matches that of the black-shirted players (Simons & Chabris, 1999). However, even unique items can go unnoticed. In one task, people monitored black shapes and ignored white shapes that moved around a computer window (Most et al., 2001). Approximately 30 percent of them failed to detect the bright red cross traversing the display, even though it was the only colored item and was visible for five seconds. Another crucial influence on noticing is the effort you put into the attention-demanding task. If you have to keep separate counts of bounce passes and aerial passes, you are less likely to notice the gorilla (Simons & Chabris, 1999), and if you are tracking faster moving objects, you are less likely to notice (Simons & Jensen, 2009). You can even miss unexpected visual objects when you devote your limited cognitive resources to a memory task (Fougnie & Marois, 2007), so the limits are not purely visual. Instead, they appear to reflect limits on the capacity of attention. Without attention to the unexpected event, you are unlikely to become aware of it (Mack & Rock, 1998; Most, Scholl, Clifford, & Simons, 2005). Inattentional blindness is not just a laboratory curiosity—it also occurs in the real world and under more natural conditions. In a recent study (Chabris, Weinberger, Fontaine, & Simons, 2011), Chabris and colleagues simulated a famous police misconduct case in which a Boston police officer was convicted of lying because he claimed not to have seen a brutal beating (Lehr, 2009). At the time, he had been chasing a murder suspect and ran right past the scene of a brutal assault. In Chabris’ simulation, subjects jogged behind an experimenter who ran right past a simulated fight scene. At night, 65 percent missed the fight scene. Even during broad daylight, 44 percent of observers jogged right passed it without noticing, lending some plausibility to the Boston cop’s story that he was telling the truth and never saw the beating. Perhaps more importantly, auditory distractions can induce real-world failures to see. Although people believe they can multitask, few can. And, talking on a phone while driving or walking decreases situation awareness and increases the chances that people will miss something important (Strayer & Johnston, 2001). In a dramatic illustration of cell phone–induced inattentional blindness, Ira Hymen observed that people talking on a cell phone as they walked across a college campus were less likely than other pedestrians to notice a unicycling clown who rode across their path (Hyman, Boss, Wise, McKenzie, & Caggiano, 2011). Recently, the study of this sort of awareness failure has returned to its roots in studies of listening, with studies documenting inattentional deafness: When listening to a set of spatially localized conversations over headphones, people often fail to notice the voice of a person walking through the scene repeatedly stating “I am a gorilla” (Dalton & Fraenkel, 2012). Under conditions of focused attention, we see and hear far less of the unattended information than we might expect (Macdonald & Lavie, 2011; Wayand, Levin, & Varakin, 2005). We now have a good understanding of the ways in which focused attention affects the detection of unexpected objects falling outside that focus. The greater the demands on attention, the less likely people are to notice objects falling outside their attention (Macdonald & Lavie, 2011; Simons & Chabris, 1999; Simons & Jensen, 2009). The more like the ignored elements of a scene, the less likely people are to notice. And, the more distracted we are, the less likely we are to be aware of our surroundings. Under conditions of distraction, we effectively develop tunnel vision. Despite this growing understanding of the limits of attention and the factors that lead to more or less noticing, we have relatively less understanding of individual differences in noticing (Simons & Jensen, 2009). Do some people consistently notice the unexpected while others are obliviously unaware of their surroundings? Or, are we all subject to inattentional blindness due to structural limits on the nature of attention? The question remains controversial. A few studies suggest that those people who have a greater working memory capacity are more likely to notice unexpected objects (Hannon & Richards, 2010; Richards, Hannon, & Derakshan, 2010). In effect, those who have more resources available when focusing attention are more likely to spot other aspects of their world. However, other studies find no such relationship: Those with greater working memory capacity are not any more likely to spot an unexpected object or event (Seegmiller, Watson, & Strayer, 2011; Bredemeier & Simons, 2012). There are theoretical reasons to predict each pattern. With more resources available, people should be more likely to notice (see Macdonald & Lavie, 2011). However, people with greater working memory capacity also tend to be better able to maintain their focus on their prescribed task, meaning that they should be less likely to notice. At least one study suggests that the ability to perform a task does not predict the likelihood of noticing (Simons & Jensen, 2009; for a replication, see Bredemeier & Simons, 2012). In a study I conducted with Melinda Jensen, we measured how well people could track moving objects around a display, gradually increasing the speed until people reached a level of 75% accuracy. Tracking ability varied greatly: Some people could track objects at more than twice the speed others could. Yet, the ability to track objects more easily was unrelated to the odds of noticing an unexpected event. Apparently, as long as people try to perform the tracking task, they are relatively unlikely to notice unexpected events. What makes these findings interesting and important is that they run counter to our intuitions. Most people are confident they would notice the chest-thumping gorilla. In fact, nearly 90%believe they would spot the gorilla (Levin & Angelone, 2008), and in a national survey, 78% agreed with the statement, “People generally notice when something unexpected enters their field of view, even when they’re paying attention to something else” (Simons & Chabris, 2010). Similarly, people are convinced that they would spot errors in movies or changes to a conversation partner (Levin & Angelone, 2008). We think we see and remember far more of our surroundings than we actually do. But why do we have such mistaken intuitions? One explanation for this mistaken intuition is that our experiences themselves mislead us (Simons & Chabris, 2010). We rarely experience a study situation such as the gorilla experiment in which we are forced to confront something obvious that we just missed. That partly explains why demonstrations such as that one are so powerful: We expect that we would notice the gorilla, and we cannot readily explain away our failure to notice it. Most of the time, we are happily unaware of what we have missed, but we are fully aware of those elements of a scene that we have noticed. Consequently, if we assume our experiences are representative of the state of the world, we will conclude that we notice unexpected events. We don’t easily think about what we’re missing. Given the limits on attention coupled with our mistaken impression that important events will capture our attention, how has our species survived? Why weren’t our ancestors eaten by unexpected predators? One reason is that our ability to focus attention intently might have been more evolutionarily useful than the ability to notice unexpected events. After all, for an event to be unexpected, it must occur relatively infrequently. Moreover, most events don’t require our immediate attention, so if inattentional blindness delays our ability to notice the events, the consequences could well be minimal. In a social context, others might notice that event and call attention to it. Although inattentional blindness might have had minimal consequences over the course of our evolutionary history, it does have consequences now. At pedestrian speeds and with minimal distraction, inattentional blindness might not matter for survival. But in modern society, we face greater distractions and move at greater speeds, and even a minor delay in noticing something unexpected can mean the difference between a fender-bender and a lethal collision. If talking on a phone increases your odds of missing a unicycling clown, it likely also increases your odds of missing the child who runs into the street or the car that runs a red light. Why, then, do people continue to talk on the phone when driving? The reason might well be the same mistaken intuition that makes inattentional blindness surprising: Drivers simply do not notice how distracted they are when they are talking on a phone, so they believe they can drive just as well when talking on a phone even though they can’t (Strayer & Johnston, 2001). So, what can you do about inattentional blindness? The short answer appears to be, “not much.” There is no magical elixir that will overcome the limits on attention, allowing you to notice everything (and that would not be a good outcome anyway). But, there is something you can do to mitigate the consequences of such limits. Now that you know about inattentional blindness, you can take steps to limit its impact by recognizing how your intuitions will lead you astray. First, maximize the attention you do have available by avoiding distractions, especially under conditions for which an unexpected event might be catastrophic. The ring of a new call or the ding of a new text are hard to resist, so make it impossible to succumb to the temptation by turning your phone off or putting it somewhere out of reach when you are driving. If you know that you will be tempted and you know that using your phone will increase inattentional blindness, you must be proactive. Second, pay attention to what others might not notice. If you are a bicyclist, don’t assume that the driver sees you, even if they appear to make eye contact. Looking is not the same as seeing. Only by understanding the limits of attention and by recognizing our mistaken beliefs about what we “know” to be true can we avoid the modern-day consequences of those limits. Many people, upon learning about inattentional blindness, try to think of ways to eliminate it, allowing themselves complete situation awareness. Why might we be far worse off if we were not subject to inattentional blindness? If inattentional blindness cannot be eliminated, what steps might you take to avoid its consequences? Can you think of situations in which inattentional blindness is highly likely to be a problem? Can you think of cases in which inattentional blindness would not have much of an impact? A task in which different audio streams are presented to each ear. Typically, people are asked to monitor one stream while ignoring the other. The failure to notice a fully visible, but unexpected, object or event when attention is devoted to something else. The auditory analog of inattentional blindness. People fail to notice an unexpected sound or voice when attention is devoted to other aspects of a scene. A method for studying selective attention in which people focus attention on one auditory stream of information while deliberately ignoring other auditory information. Bredemeier, K., & Simons, D. J. (2012). Working memory and inattentional blindness. Psychonomic Bulletin & Review, 19, 239–244. Chabris, C. F., Weinberger, A., Fontaine, M., & Simons, D. J. (2011). You do not talk about fight club if you do not notice fight club: Inattentional blindness for a simulated real-world assault. i-Perception, 2, 150–153. Conway, A. R. A., Cowan, N., & Bunting, M. F. (2001). The cocktail party phenomenon revisited: The importance of working memory capacity. Psychonomic Bulletin & Review, 8, 331–335. Dalton, P., & Fraenkel, N. (2012). Gorillas we have missed: Sustained inattentional deafness for dynamic events. Cognition, 124, 367–372. Levin, D. T., & Angelone, B. L. (2008). The visual metacognition questionnaire: A measure of intuitions about vision. The American Journal of Psychology, 121, 451–472. Macdonald, J. S. P., & Lavie, N. (2011). Visual perceptual load induces inattentional deafness. Attention, Perception, & Psychophysics, 73, 1780–1789. Mack A., & Rock I. (1998). Inattentional blindness. Cambridge, MA: MIT Press. Most, S. B., Scholl, B. J., Clifford, E. R., & Simons, D. J. (2005). What you see is what you set: Sustained inattentional blindness and the capture of awareness. Psychological Review, 112, 217–242. Most, S. B., Simons, D. J., Scholl, B. J., Jimenez, R., Clifford, E., & Chabris, C. F. (2001). How not to be seen: The contribution of similarity and selective ignoring to sustained inattentional blindness. Psychological Science, 12, 9–17. Neisser U., & Becklen R., (1975). Selective looking: Attending to visually specified events. Cognitive Psychology, 7, 480–494. Richards, A., Hannon, E., & Derakshan, N. (2010). Predicting and manipulating the incidence of inattentional blindness. Psychological Research, 74, 513–523. Seegmiller, J. K., Watson, J. M., & Strayer, D. L. (2011). Individual differences in susceptibility to inattentional blindness. Journal of Experimental Psychology: Learning, Memory, and Cognition, 37, 785–791. Simons, D. J., & Chabris, C. F. (2010). The invisible gorilla, and other ways our intuitions deceive us. New York, NY: Crown. Simons, D. J., & Jensen, M. S. (2009). The effects of individual differences and task difficulty on inattentional blindness. Psychonomic Bulletin & Review, 16(2), 398–403. Wayand. J. F., Levin, D. T., & Varakin, D. A. (2005). Inattentional blindness for a noxious multimodal stimulus. The American Journal of Psychology, 118, 339–352. 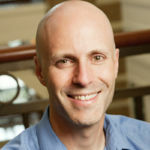 Daniel Simons, Professor of Psychology at the University of Illinois, received the APA Early Career Award for his work on change blindness and attention. He is best known for his work on the limits of attention and awareness and for co-authoring the NY Times bestseller, The Invisible Gorilla. Failures of Awareness: The Case of Inattentional Blindness by Daniel Simons is licensed under a Creative Commons Attribution-NonCommercial-ShareAlike 4.0 International License. Permissions beyond the scope of this license may be available in our Licensing Agreement.